Explain asymptotic notation.Explain time complexity and space complexity in detail. 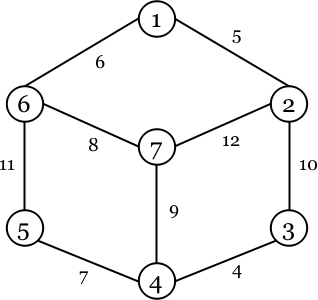 Solve following problem using Kruskal's algorithm which is used to find minimum spanning tree. Find shortest path using Djkstra's algorithms for the following graph assume source node is A.